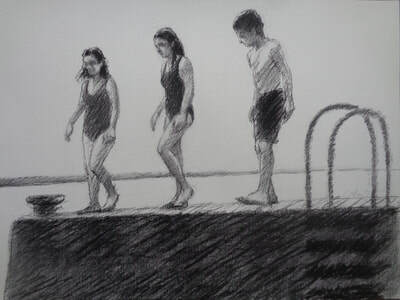 A collection of 30 recent drawings and paintings. 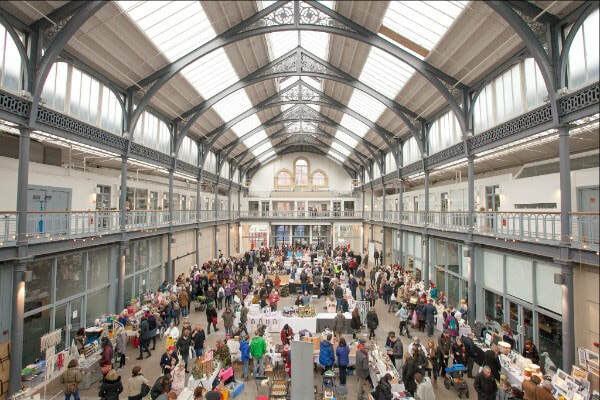 Due to popular demand, we will be hosting our second Wasps Artist and Maker Market at The Briggait, Glasgow on Saturday 8th December between 11am and 5pm. This market will provide the perfect opportunity for you to do some Christmas shopping in a festive and relaxed atmosphere whilst supporting members of the Wasps creative community at the same time. There will be around 40 stalls, free entry, and hot drinks and snacks will also be provided. 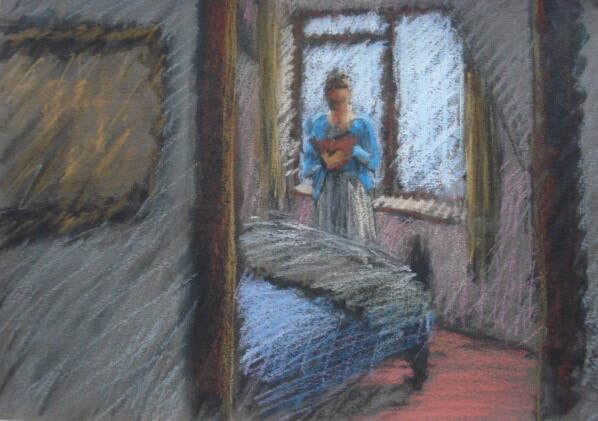 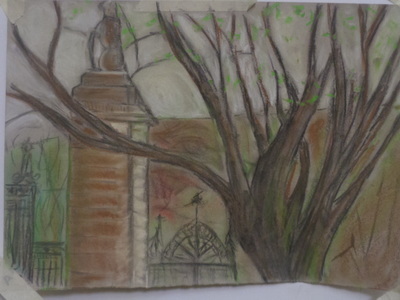 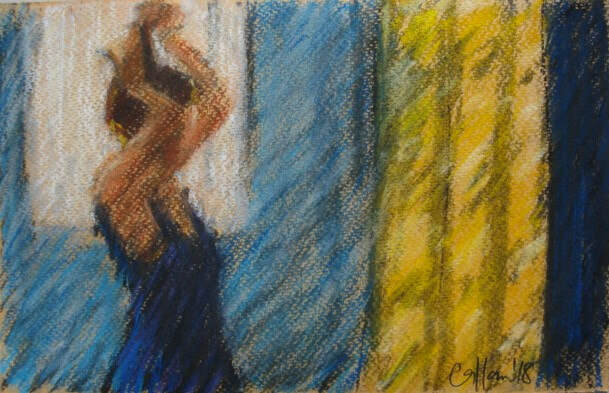 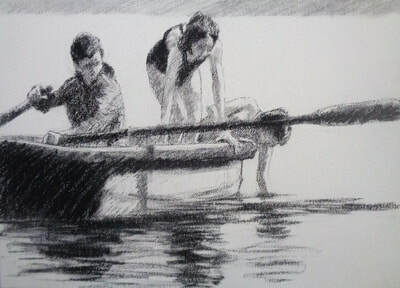 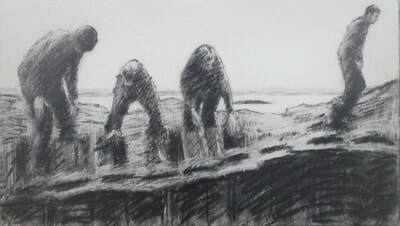 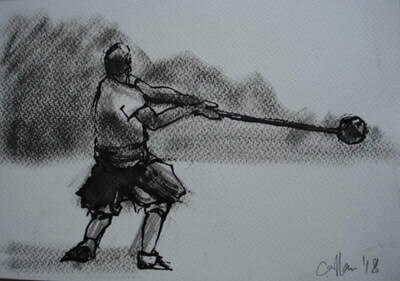 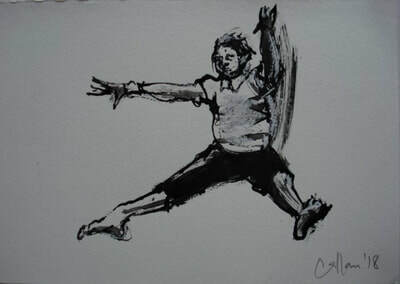 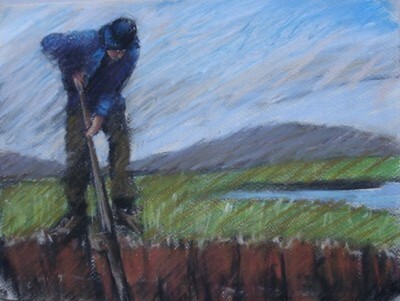 Damian Callan will be showing over 50 unframed drawings and paintings priced from £30 up to £400. These works are also available to view at the studio in Edinburgh after the Artist & Makers Market is over. Please be in touch if you wish to make an appointment. 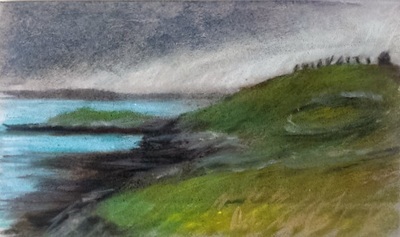 As part of the WASPS, Dalry Open Studios Weekend 3rd & 4th November, Damian Callan will be opening his studio to the public. 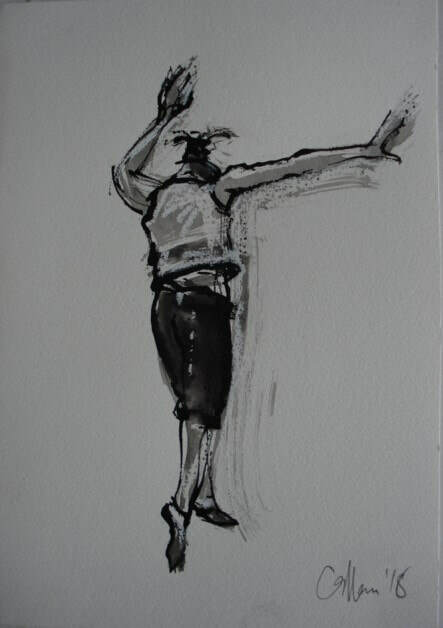 There will be work in progress on display as well as mounted and framed work for sale. 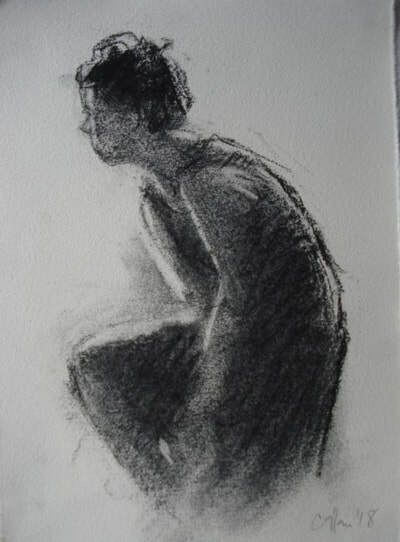 Damian will also be demonstrating portrait drawing techniques with volunteer models. 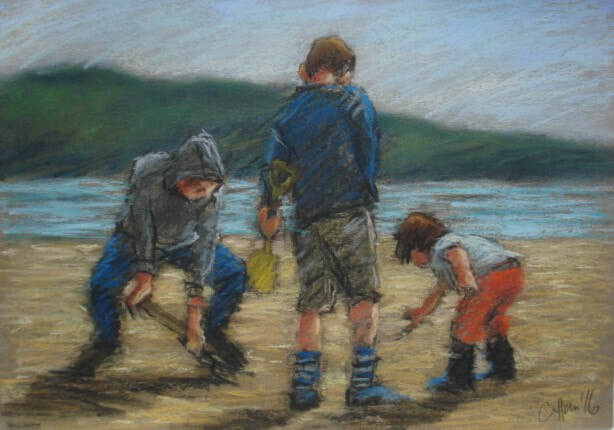 There will be a pop up cafe, music in the corridors and children's artistic activities. 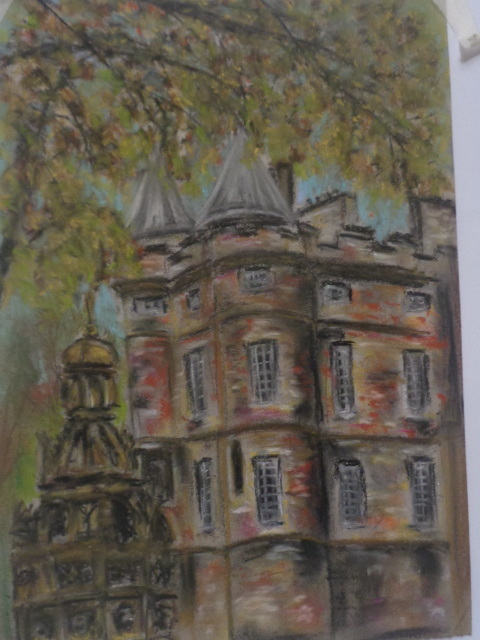 Come along and meet the artists and see them at work in this extraordinary building from Dalry's industrial past. 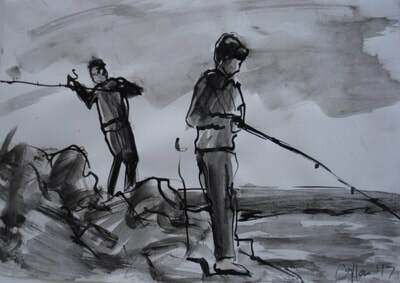 A collection of over 70 drawings from the past 2 or 3 years will be available to view on Saturday 12th may at WASPS Artists' studios, West Park Place, Dalry, EH11 2DP. 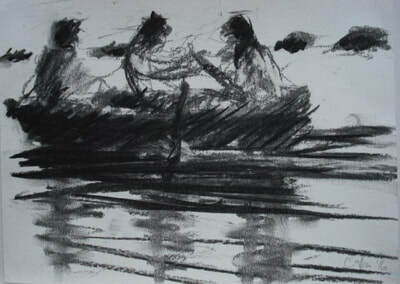 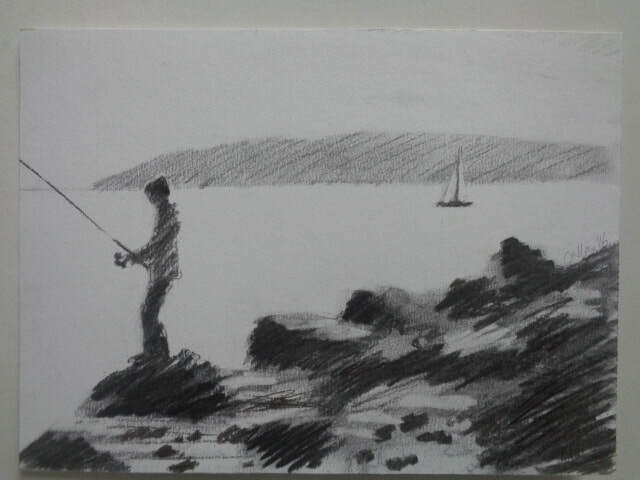 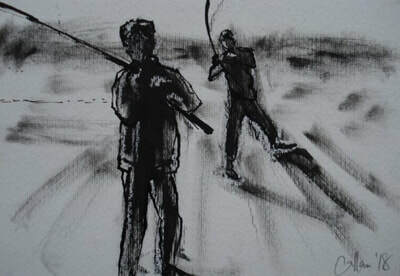 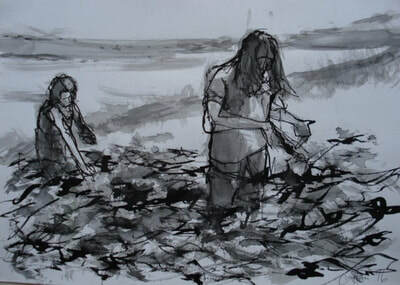 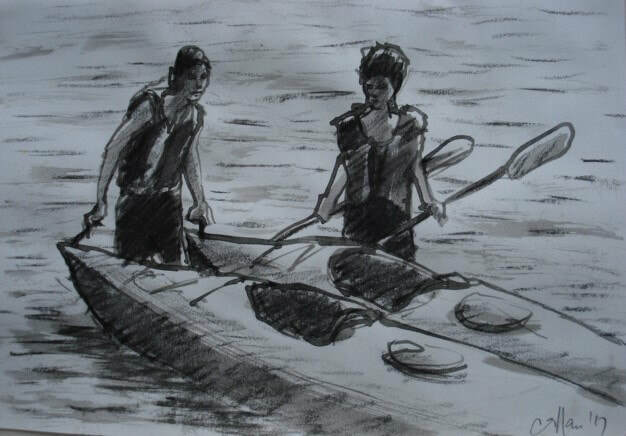 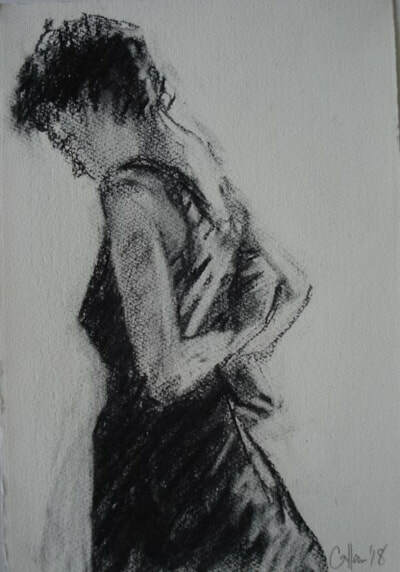 The drawings are executed in a variety of media including charcoal, ink and pastel. 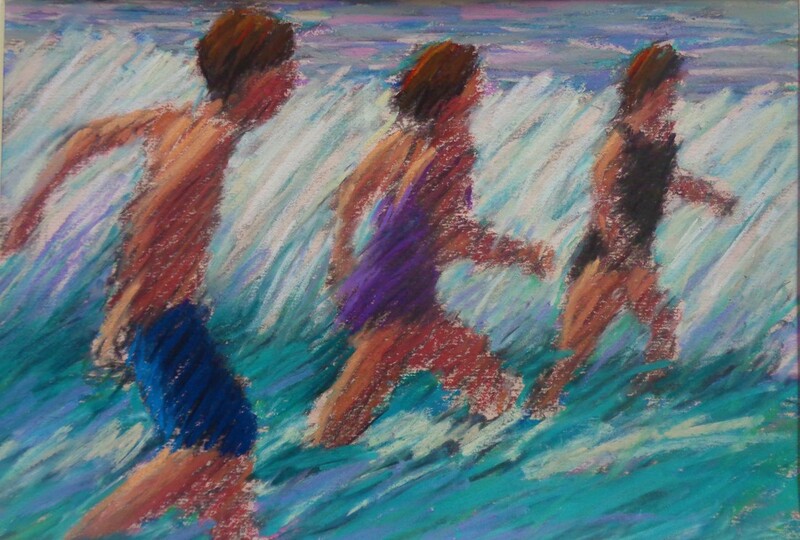 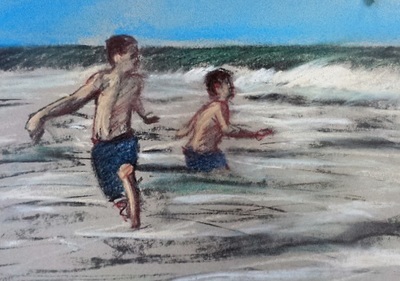 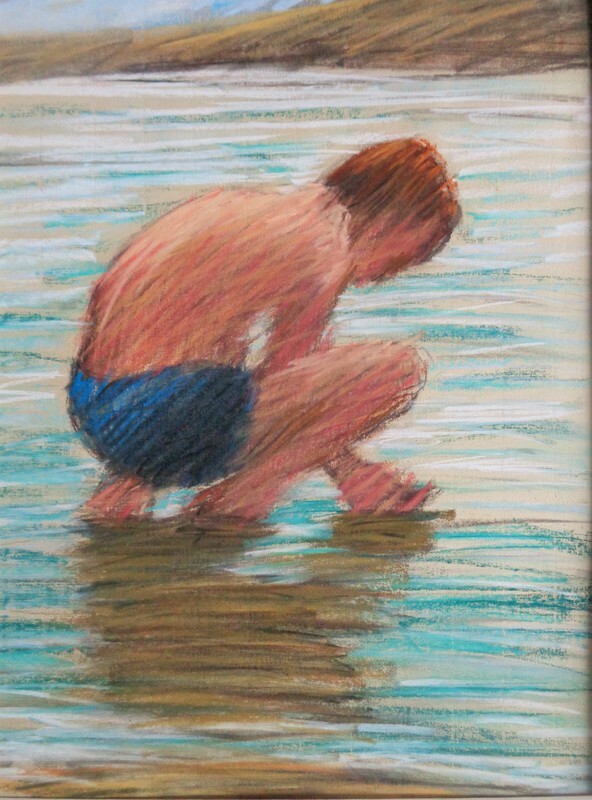 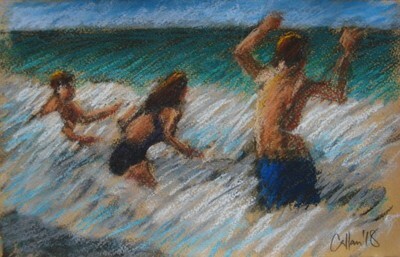 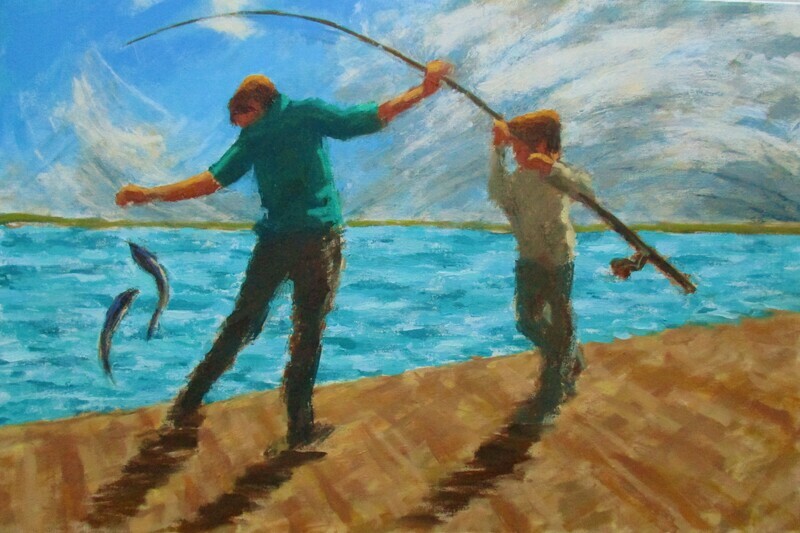 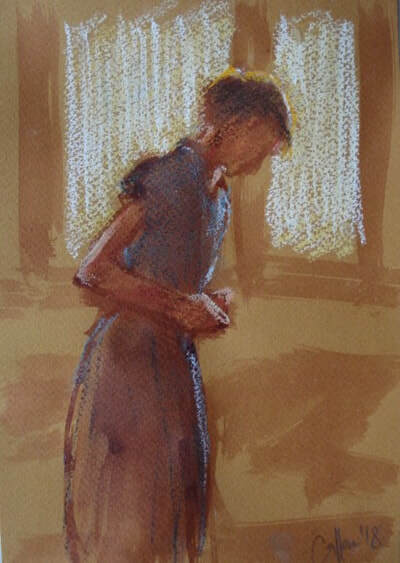 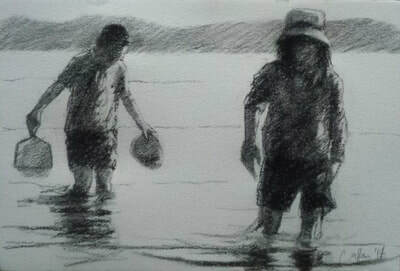 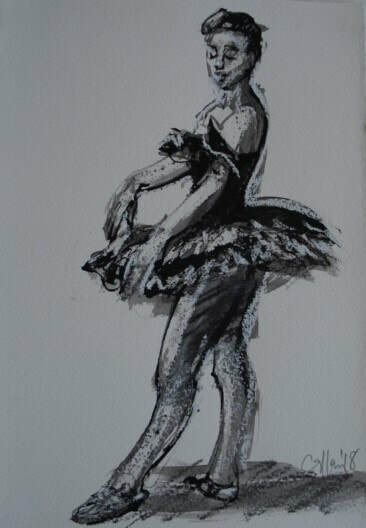 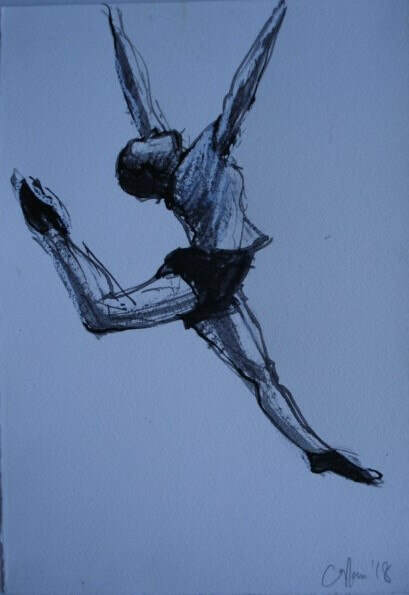 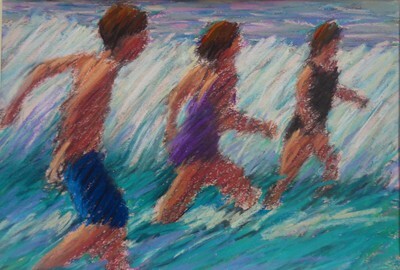 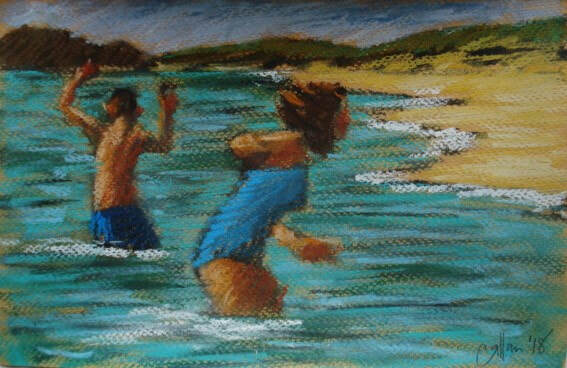 Subjects range from children on the beach, to dancers and gymnasts and landscape studies. Most of the work is unframed and is priced around £50 each. There will be drawing demonstrations at 12 and 2 pm when Damian will work from dancer models to illustrate some of the techniques used in the collection. 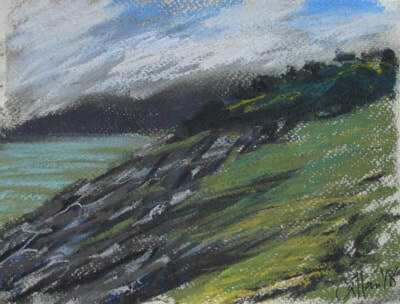 Examples of the available work are shown here and the gallery will be updated over the coming weeks leading up to the sale. 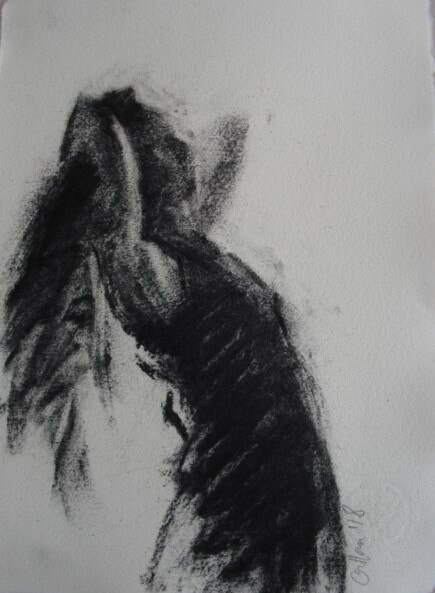 Please be in touch if anything is of interest. 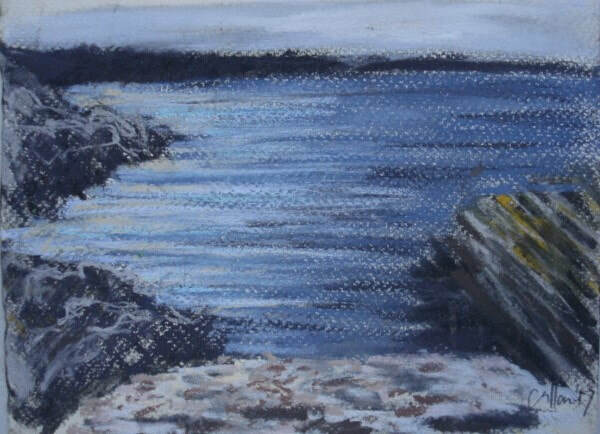 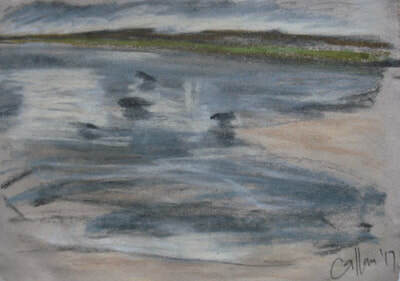 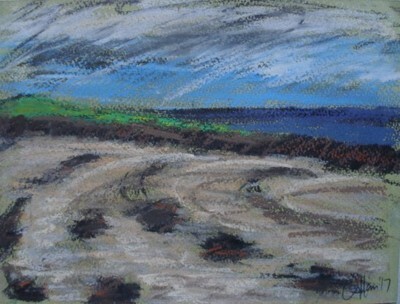 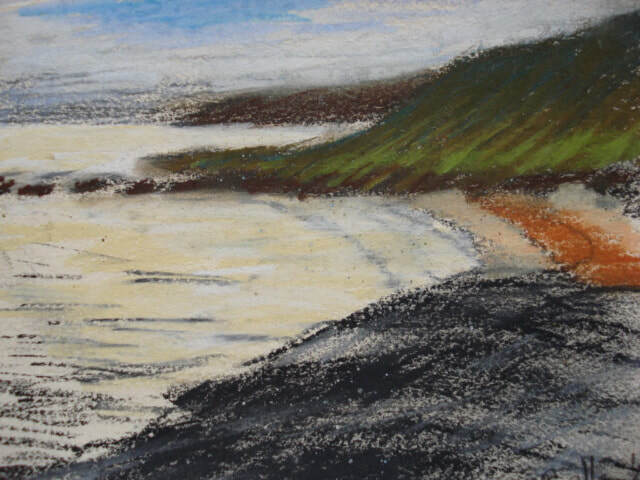 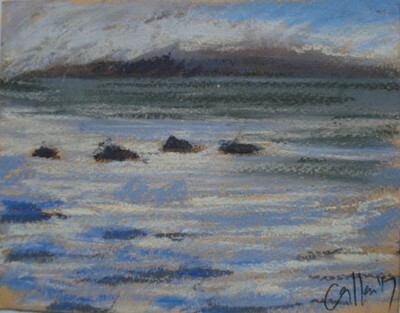 ​Come and explore Edinburgh, Skipness and Berneray through the work of local Artist, Damian Callan. 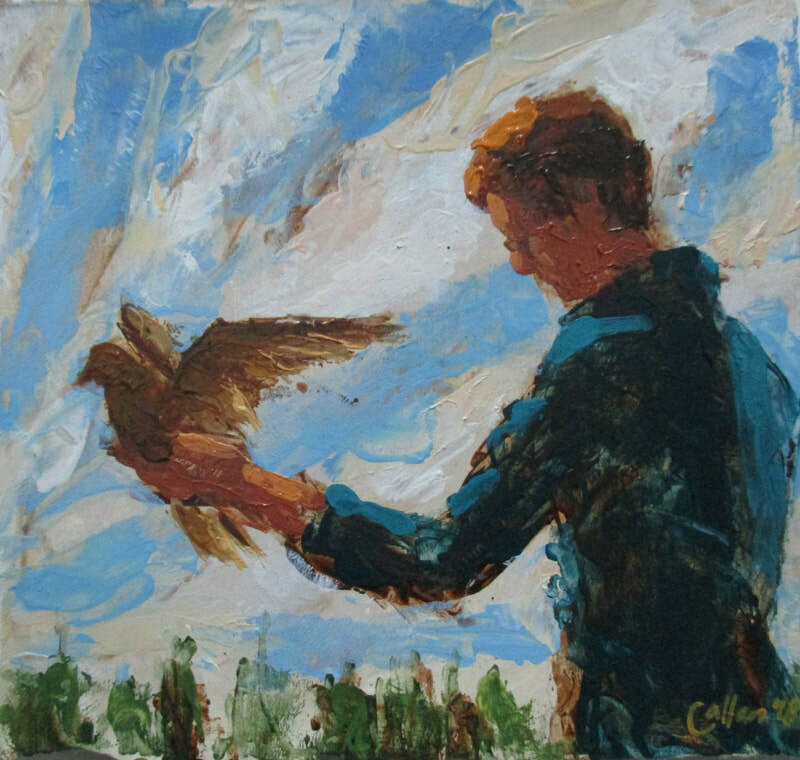 This all-new collection wanders through Scotland with Callans' distinctive style as we see the reapperance of occupied figures against familiar, abstracted landscapes. 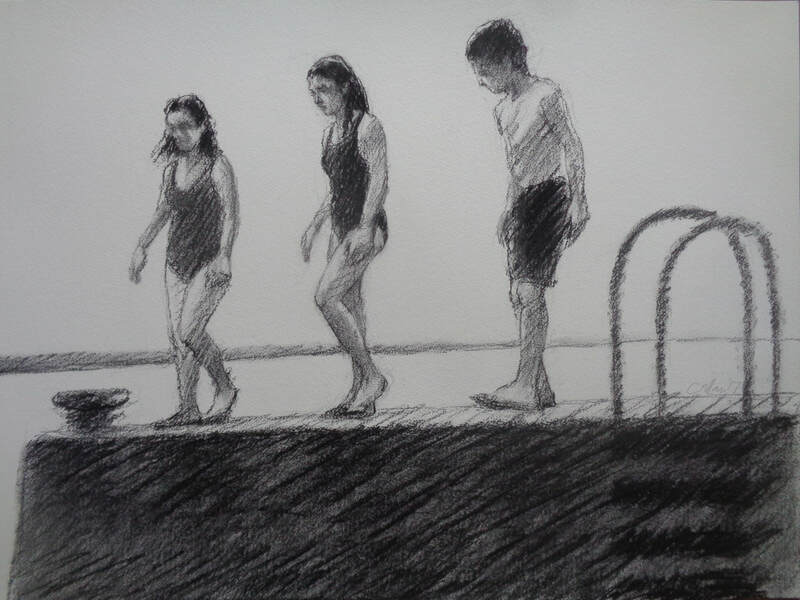 Living and working in Edinburgh, Callan takes inspiration from his surroundings as he often depicts his family days out, capturing movement and activity with his loose style that leaves space to be filled by the imagination. Callan is returning to ROSL having already presented his practice in an event of live drawing and discussion earlier this year. 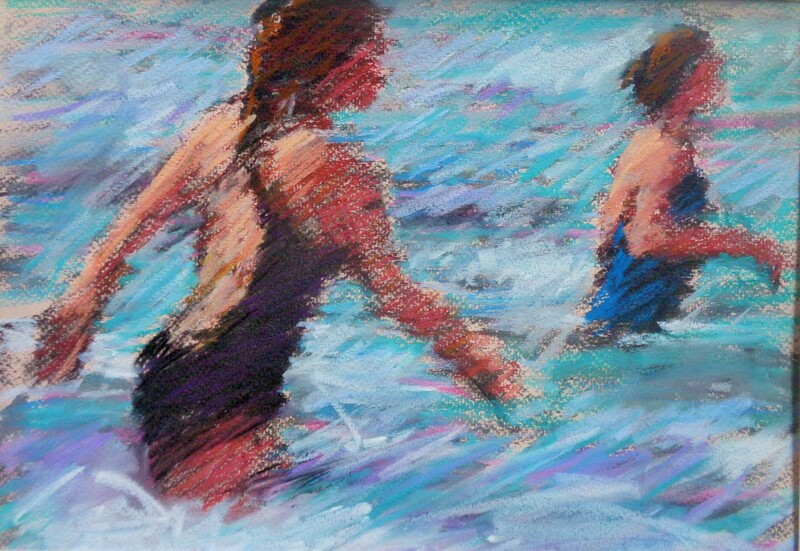 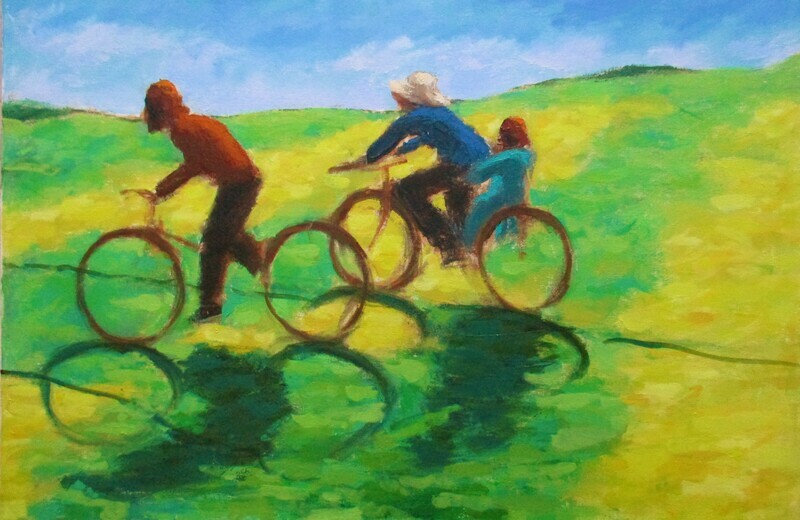 Not only is he a successful figurative painter, he also teaches classes for adults and children at his studio near Haymarket and he is the author of the books Paint Like Degas and Paint Like Renoir. 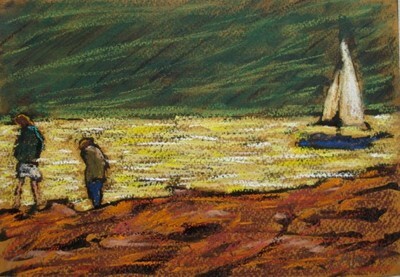 His work is exhibited widely in the UK and is held in collections across the world. 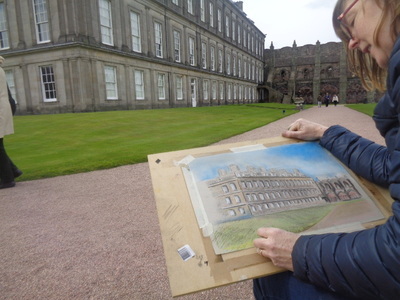 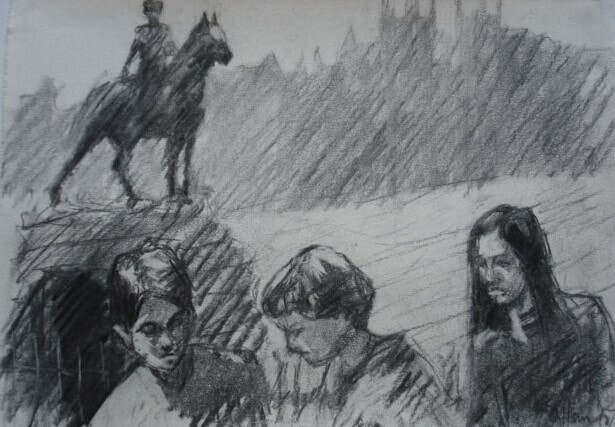 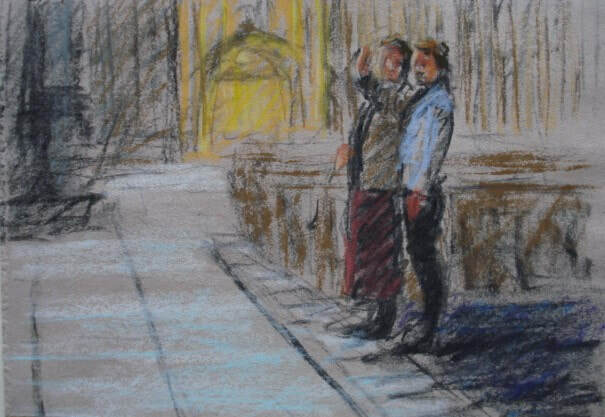 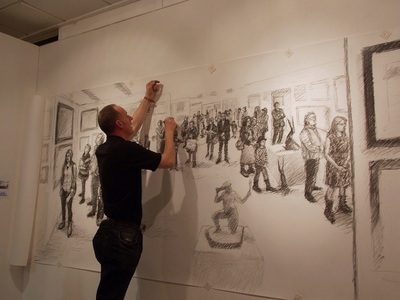 He has also written articles for Artist & Illustrators Magazine and The Artist Magazine as well as regularly demonstrating drawing and painting techniques at public events in Edinburgh. Artist's Discussion and Demonstration at ROSL, Princes St., Edinburgh. 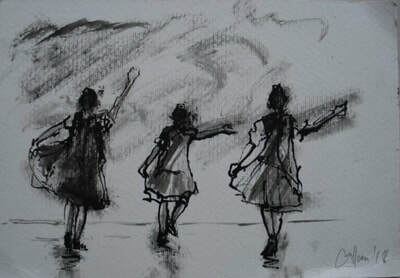 27th April. 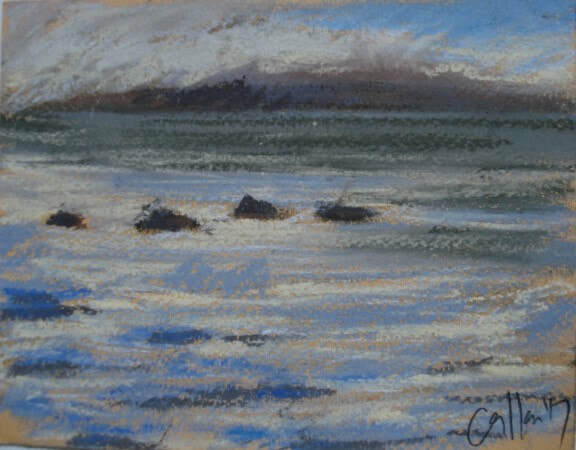 Damian Callan will be having a studio sale on Saturday 3rd December 10 - 6pm at WASPS studios, Dalry, EH11 2DP. 50% of the proceeds of the sale will go to the Edinburgh based charity Edinburgh Direct Aid. 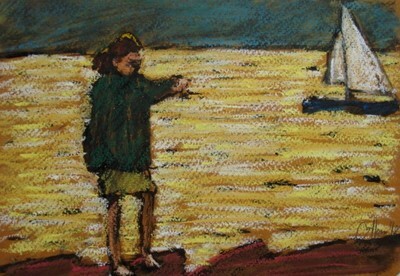 Entirely run by volunteers, EDA are currently delivering aid directly to Syrian refugees in Lebanon (www.edinburghdirectaid.org). 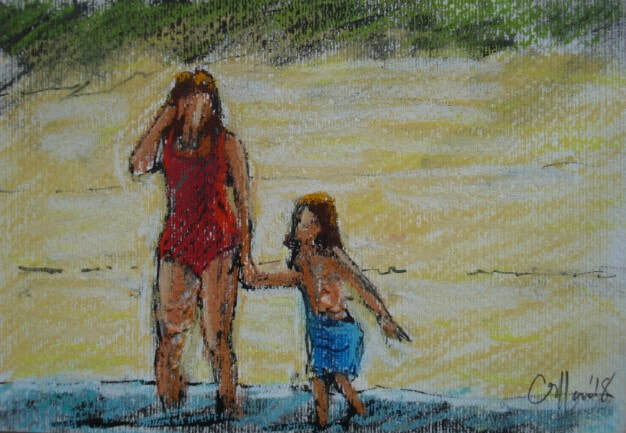 There will be framed and unframed drawings and paintings for sale as well as refreshments and musical entertainment. 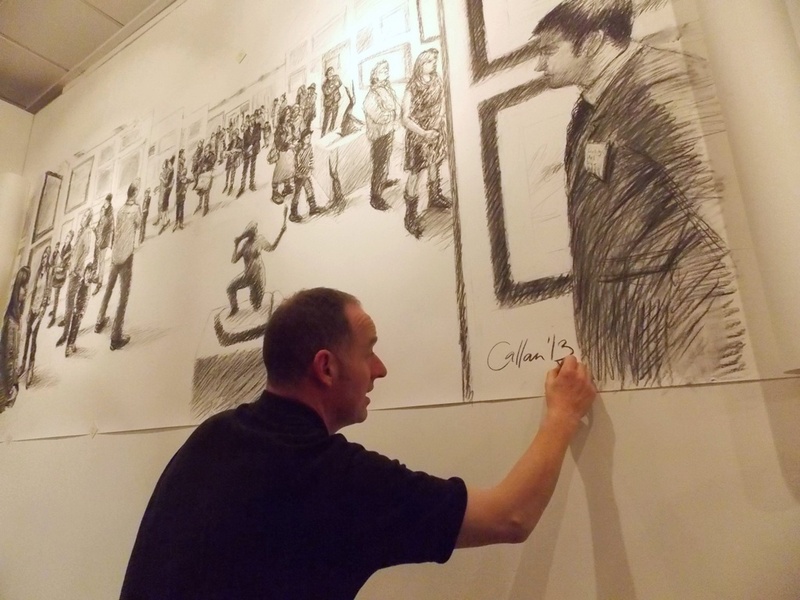 Damian Callan has been invited back to the Edinburgh Art Fair this year to create a new Giant Drawing in the restaurant area. He will begin work on the picture on Friday morning using visitors to the restaurant and bar as inspiration for figures in the composition. 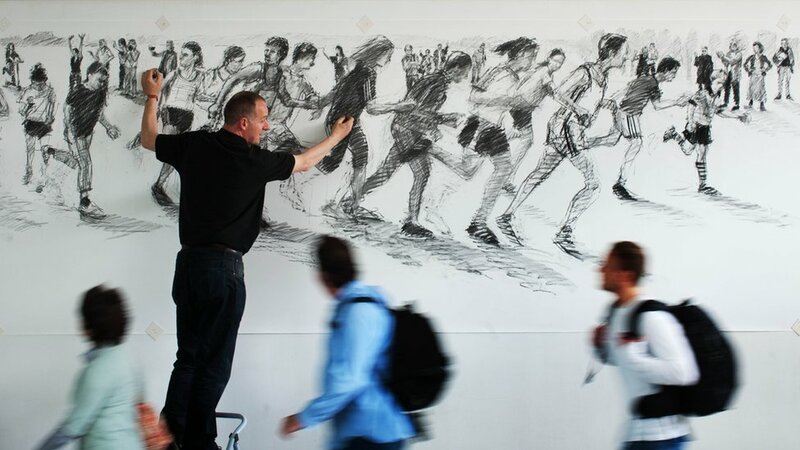 The piece which measures 1.5 x 4 metres will evolve over the course of the 3 day event, eventually coming to a resolution in the final hours on Sunday. 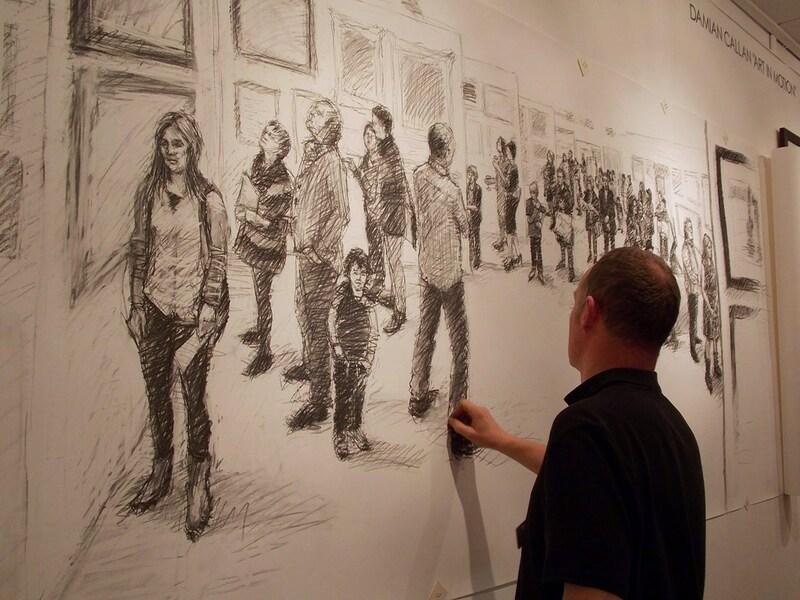 As with previous Giant Drawing performances Damian will be inviting visitors to the Art Fair to model for the figures in the drawing - in 2013 they were people engaged with looking at exhibits in an exhibition, this year they will be diners in the Art Fair restaurant. 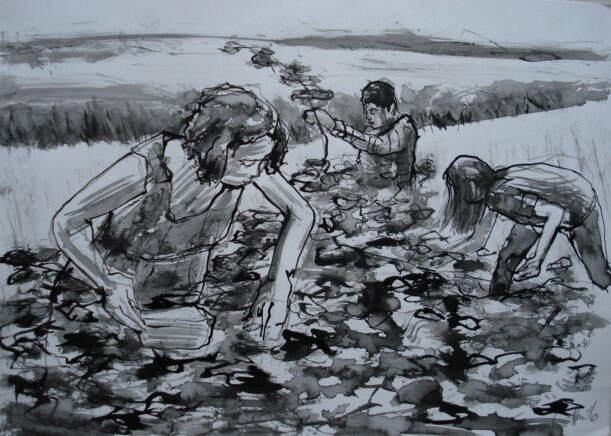 ​ Aimed at senior pupils (16+ years) this course encourages experimental approaches to mark–making, drawing from a life model. 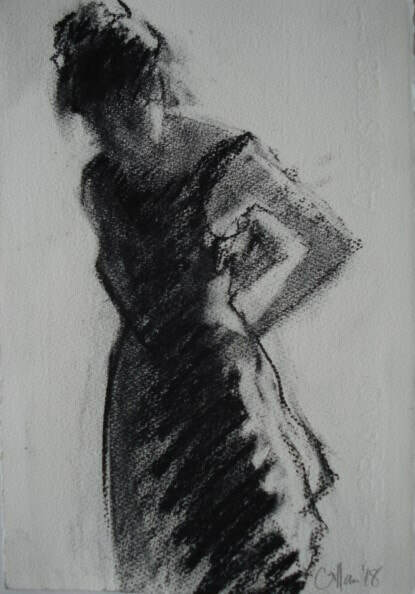 Each session will start with an inspirational look at how artists in the national collection have approached figure drawing. 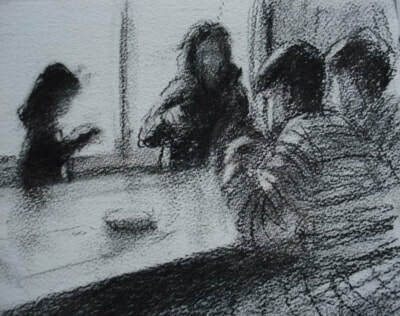 This course will challenge you to explore a wide range of approaches to drawing. Begins with a free ticketed taster session on Friday, 16th September 2016, 2-4pm allowing you to have a go at life drawing before signing up for an 8 week course. He is filmed demonstrating some of Renoir's techniques and discussing the artist's late nudes from The Barnes Collection Philadelphia. 14th - 20th December, 10 - 6pm, The Art Club, Brandon Terrace, EH3 5DZ. Exhibition will be open from 10am on Monday morning - the following events will take place during the week and weekend. All welcome. 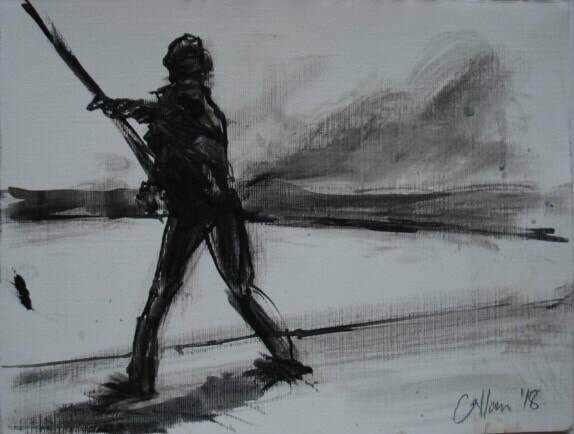 Damian Callan's studio will be open on Sunday 25th October as part of the WASPS Open Studios weekend. 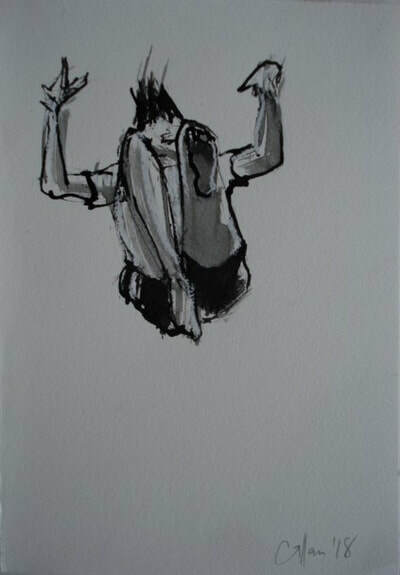 As well as having work in progress on show, there will be some framed and unframed work available to buy. 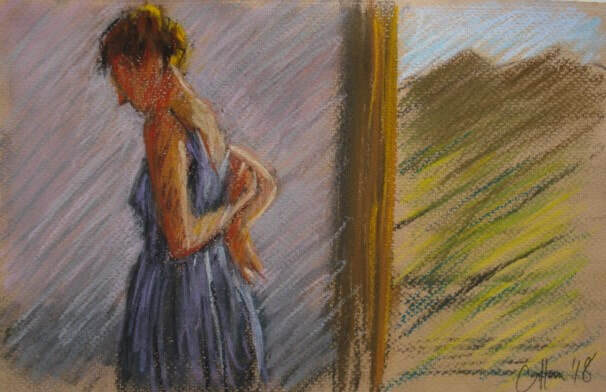 Damian will also be demonstrating chalk pastel portraiture in the pop-up cafe space - with volunteer models being sought ! 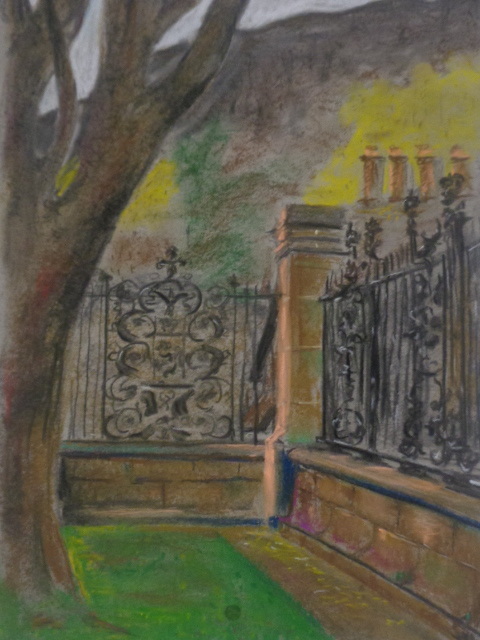 All welcome - free event. 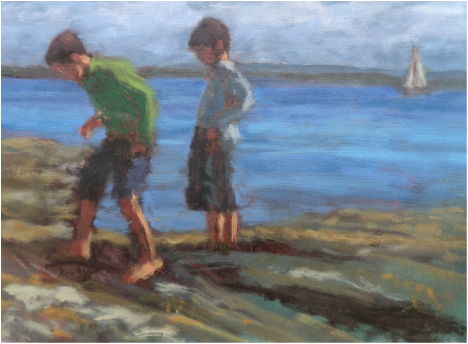 Book Launch 5th June, National Gallery, Princes St.
Oil paint is a tremendously versatile medium, from the thin glaze to the thick impasto mark and Renoir employed the whole range of approaches to handling oils. 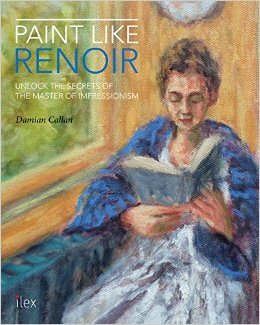 In Paint Like Renoir artist Damian Callan explains and deconstructs the Master's methods and at this launch, he will demonstrate some of the techniques illustrated in the book. 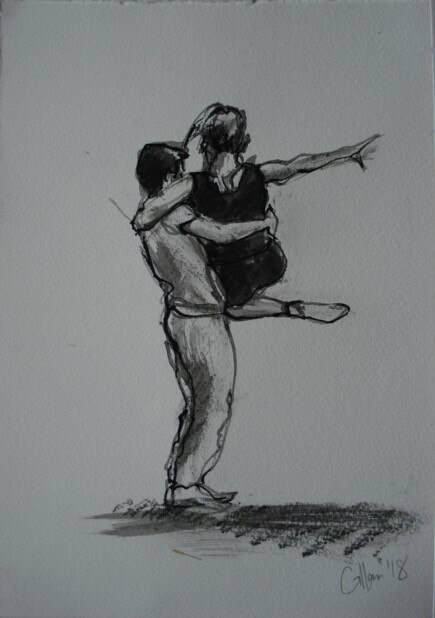 No booking required: free, unticketed. Easel Sketching in the Gallery in The Evening News ! 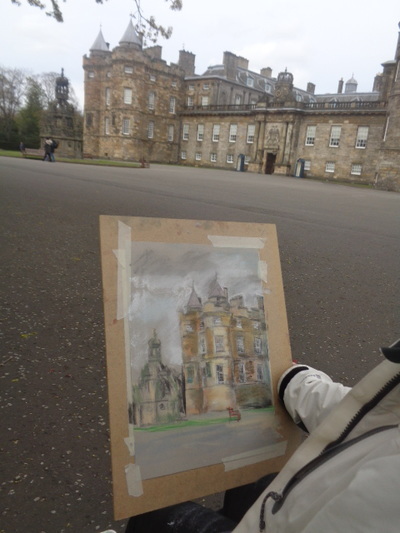 The drop-in drawing event at the National Galleries of Scotland on 13th and 14th of February was featured in The Edinburgh evening News. 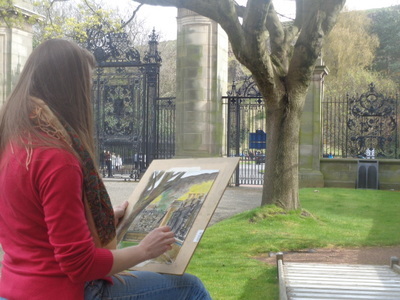 The next easel sketching will take place on 12th & 13th March, 2- 4pm. 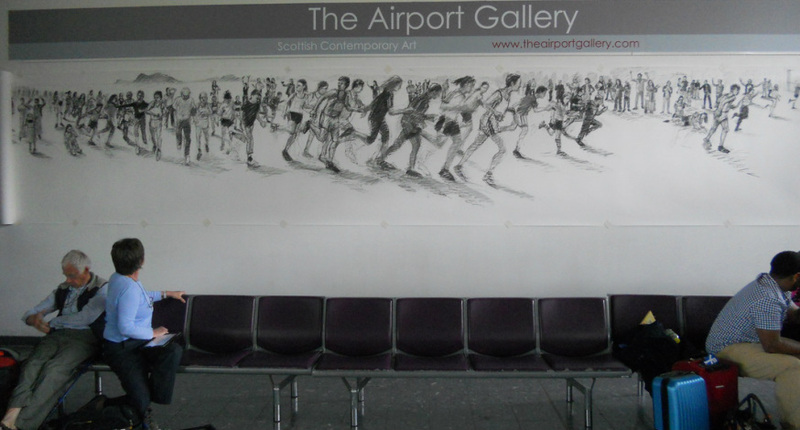 A giant drawing created at WASPS Studios and at Edinburgh Airport, due to go on display at Edinburgh Airport shortly. Giant drawing built up over three days featuring visitors to the Corn Exchange for the Edinburgh Art Fair.